La Isla Bonita of La Palma in Spain’s Canary Islands, once again, will gather a few thousand trail runners from around the world. The Transvulcania Ultramarathon has settled as a mandatory date on the racing calendars of the quick women and men in our sport. The 46-mile (74.3-kilometer) course from aside the sea to the top of a chain of volcanos is one of the most challenging routes in the 2017 Skyrunner World Series Sky Ultra division. Even though it’s mostly runnable–not that technical as we are used to seeing in the classic Italian-born series–elevation change and weather are the main factors to challenge some of the fastest athletes out there. Especially elevation, as the start is right aside the sea in El Faro de Fuencaliente, climbing right away to the 5,200-feet/1,600-meters-above-sea-level Las Deseadas in no more than 10 miles/16 kilometers, kicking down to El Pilar and El Reventon, to finally smash the legs while climbing back up to the 8,000-feet/2,454-meter mark at El Roque de los Muchachos, the highest and perhaps the most scenic point of the island. From there, the downhill frenzy goes straight down to El Puerto de Tazacorte, right by the sea again, in just(!) 11 miles/17.5 kilometers. That’s a real quad-killer, but you still have to face the last four miles/seven kilometers of uphill to downtown Los Llanos de Aridane where the finish line is. Be sure to read our women’s preview, too. As it’s one of the most competitive races this spring, we’ll be providing live updates with our team from the scene in La Palma. The race begins at 6 a.m. Western European Time on Saturday, May 13. That’s 11 p.m. U.S. Mountain Time on Friday, May 12. Stay tuned! Although there’ll be a major absence this year, there’s no doubt we’ll see a darn-fast Transvulcania Ultramarathon with some new and old faces in the lead pack. Three-times-in-a-row Transvulcania champion (2016 interview) and course expert Luis Alberto Hernando won’t be able to toe the line as he is part of Spain’s national team for the IAU Trail World Championships next month in Italy, and the Royal Spanish Athletics Federation rules are clear saying chosen athletes are not allowed to race any ultramarathon after May 6 and no race at all after May 26. This means that the Transvulcania Ultramarathon will see a new champ as there is no other returning winner this year (and Hernando will participate in Transvulcania’s marathon-distance race instead). Having explained this, we must start the list with flying Frenchman Nicolas Martin (pre-race interview). Second place last year here, also second at the IAU Trail World Champs of Portugal last October, he knows how to handle the ups and downs of La Palma and was at the top of several of Europe’s most competitive ultras last year. This year, it appears he has only raced at the Trail du Ventoux 46k where he was third (a minute behind second-place Ludovic Pommeret). Martin, too, is slated to compete in June at the IAU Trail World Championships on behalf of Team France, but their team rules apparently do not prohibit racing the Transvulcania Ultramarathon. Catalunya’s Pau Capell has been showing his real potential in his recent races. Winner of UTMB’s sister race, the TDS last year, winner of a stacked 2017 Transgrancanaria, and second at the Madeira Island Ultra-Trail just three weeks ago, he is certainly ready to fight for the podium here. We shall see how his early season ultrarunning start pays off, as he’s poured some miles into those speedy legs. With his recent Zion Traverse FKT, USA’s Hayden Hawks (pre-race interview) has shown some really good fitness to face the season. From an outstanding day out at The North Face Endurance Challenge 50 Mile Championships in San Francisco last December where he was second to Zach Miller in just under six hours, to a second place in the Chuckanut 50k this year, to a course-record-setting win at the 2017 Moab Red Hot 55k, he’s shown that has the leg speed to achieve a place on the podium in La Palma. 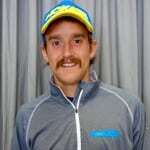 Just for the record, he’s also part of USA’s national team for the IAU Trail World Championships, as well. France’s high-endurance legs not only belong to Nico Martin, but also to fellow Frenchmen Ludovic Pommeret and Xavier Thévenard. Both have the so-precious win at UTMB–well, Thévenard owns every win at UTMB’s various races including two on the major distance, as well as one TDS, one CCC, and one OCC–(Pommeret’s 2016 win interview, Thévenard’s 2015 win interview), but they both know how to run fast in shorter races. Their versatility took France to team gold at the IAU Trail World Championships last year, being both in the top 10. Pommeret was fifth at the IAU Trail World Champs and won the Maxi-Race du Annecy, and so far this year, he was second at the Trail du Ventoux. On the other hand, Thévenard has never been able to show a good performance on La Palma with a drop during his only participation. 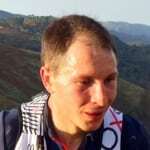 But this year, he seems to be fit as he was third at the Madeira Island UltraTrail and eighth at Trail du Ventoux. Fell-running superstar and ping-pong master Tom Owens recently achieved a second place at the famous Three Peaks Race, where a late navigational error likely kept him from the win. The Scottish chap knows the course, knows what a top 10 here means, having finished sixth place in 2014, but has not yet been able to jump onto the podium. He’s been acclimatizing to the heat this week, so we shall see how that pays off next Saturday. Tim Freriks (USA) is apparently racing. He’s not on the elite entry list provided to us or on the regular entry list available on the race website, but second-hand word says he’s in. 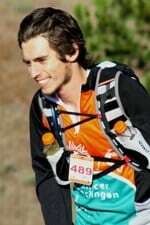 He had a heckuva go at the 2016 Lake Sonoma 50 Mile in finishing second. More recently, after a long bout of working and studying hard and perhaps too little training, he had a spectacular blow-up to finish seventh at the 2017 Black Canyon 100k. He should be in the thick of things if his fitness is back. Another returning past top-10 (sixth in 2015) runner is Greece’s Dimitrios Theodorakakos. Also a super-versatile runner, but his other skill is to run (very) fast on roads and tracks as he’s a 2:19 marathoner. When he ran, he was one of the speedsters pulling the train in La Palma, but he came to the finish in sixth. He most recently was sixth place at the 2016 TNF EC 50 Mile in San Francisco. Hard for me not to root for this guy as a fellow South American, Peru’s Remigio Huaman fought hard with Cristofer Clemente last year to round out the top 10 in Transvulcania, and ended up climbing to seventh position by the finish line. So far this year, he crushed the field at El Cruce Columbia (a three-stage, 100k race in Patagonia) and took fifth in his first try at Marathon des Sables last month. Although he hung up the skis just a few weeks ago, Jason Schlarb from the U.S. knows his legs can take him to a top-10 finish in La Palma. He couldn’t make it in his 2014 appearance here where he was 17th, but has shown some fitness with the famous tie alongside Kilian Jornet at Hardrock last year. With his super-awesome hairstyle, Zaid Ait Malek is all smiles and ready to tackle Transvulcania. He was eighth here last year, and also second at the 2015 Ultra Pirineu. Who’s going to win Transvulcania this year? Any surprises in store for the podium? Who else should we all know about before the race? If we mentioned someone who’s definitely not racing, let us know! 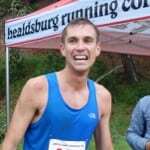 Jim is not racing Transvulcania! Mauricio- sweet preview, BUT….. Sam McCutcheon from New Zealand! 3rd at this years Tarawera Ultra and 2016 and 2017 Buffalo Stamped Ultra winner, which is the Australia/New Zealand Ultra Championship race. Also 2016 Aust/NZ Skyrunning series winner and 11th at 2016 Buff EPIC. Yeah was looking for his name through the preview and no mention of Sam at all – gotta be a high placed contender. Go Sam! Added! Our bad for missing him on the biiiiiig entrants list. I remember him saying after Tarawera that he was planning to race Transvulcania. He will be fun to watch. Thanks! A little surprised that Daniel Jung is in the “other” category. Perhaps you think TRV is a little short for him? I agree. I bumped him up a category and added a bit more detail. He certainly has the potential to be on or close to the podium. Paddy O’Leary! Everyone’s favorite Californian Irishman. Paddy is racing? Added him. He’ll be a fun one to watch! Thanks! Watch out for Jussi Nokelainen from Finland for a surprise top10 finish. 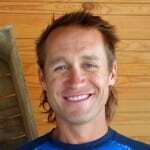 He’s a regular in the Finland IAU world champs team and one of the best downhill specialists in the country. He’s in top fitness at the moment and the course should suit him well. Super excited to follow this race. Thanks in advance for the live coverage. Predictions are silly but fun so here goes!